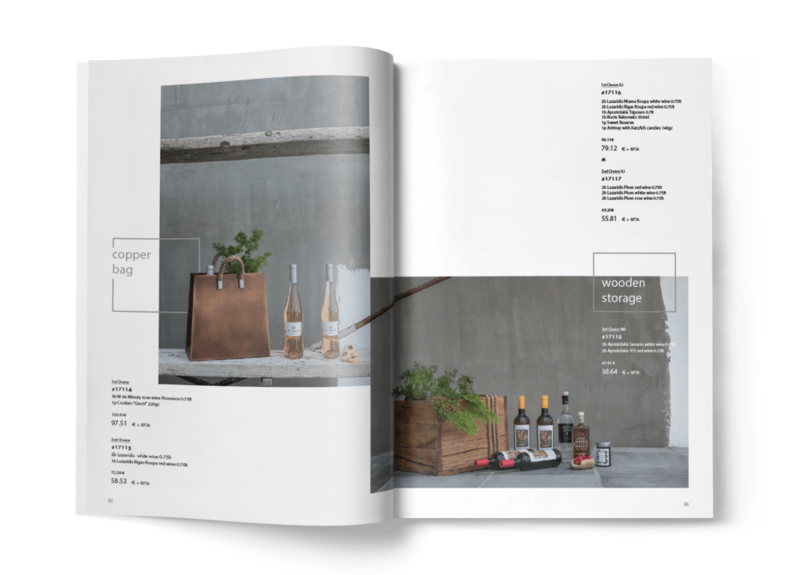 CAVA HALARI is the oldest and at the same time the fastest growing company in Greece. The stores have every wine, alcoholic drink and refreshment, imported or produced in Greece. 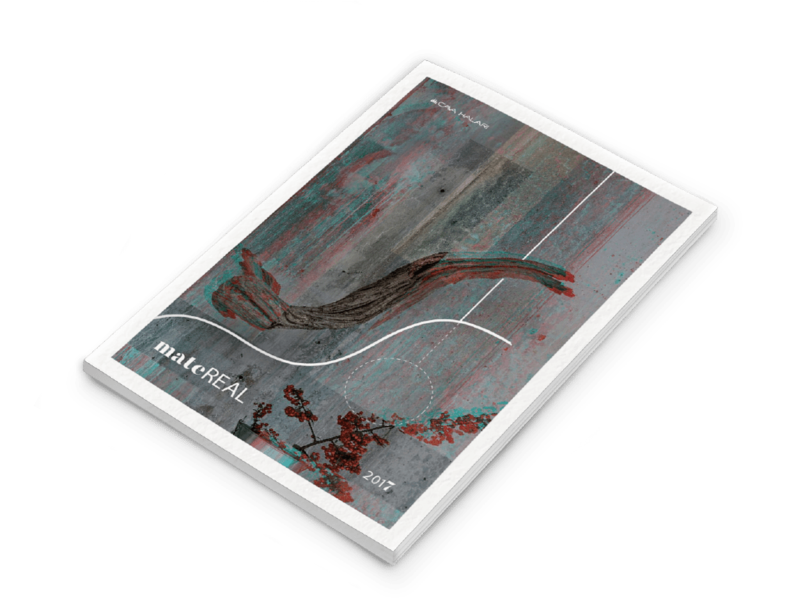 We were asked to design their annual product catalogue for 2017. A bold, minimal, contemporary design. 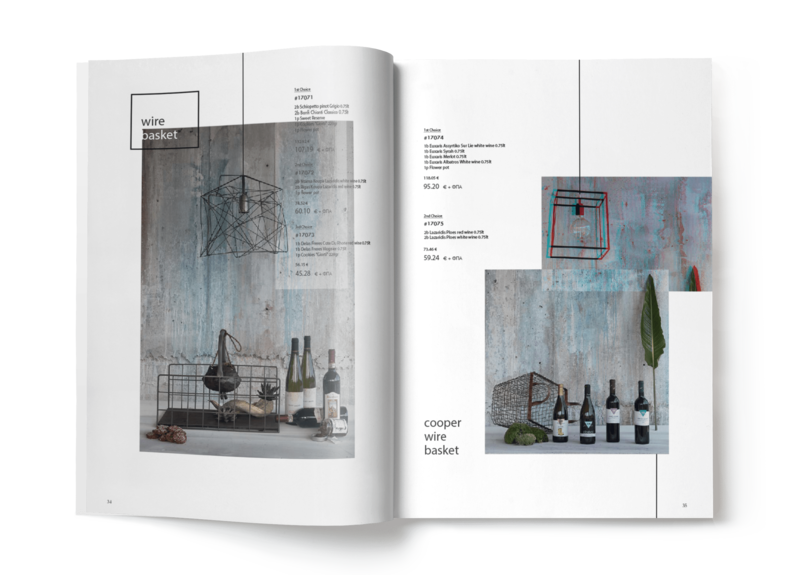 With the consent of the owners, we decided that the photo shooting for this catalog were to be made in a country house in Aegina, and the basic idea was that the catalogue should focus on the materials and the title of the catalogue. 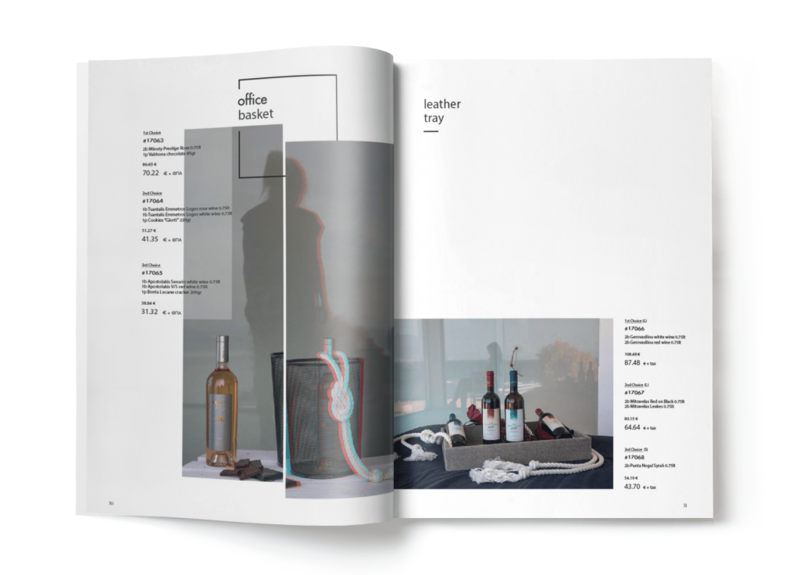 The peculiarities of this catalogue were that high quality matte coated paper was selected and the cover was laminated with a velvety texture, enabling us to highlight the title of the catalogue, “Material”.